In the previos post, we’ve great collection of free themes for Jekyll that you can use to build a beautiful statistic website faster and easier. In this post, we present another free themes which designed for Concrete5 you can use for your next website project. 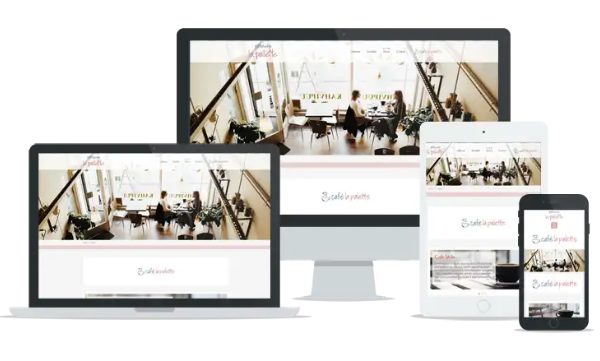 Concrete5 is one of the well-known CMS with a lot of great features, simple back-end administration and perfect to build any type of website. 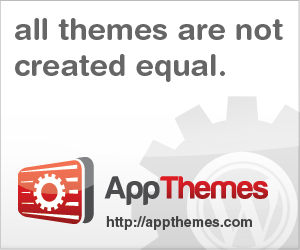 Most of these themes listed below are built in responsive design, well-designed layout and easy customization. Let’s check it out. La palette is a simple theme build with Twitter Bootstrap framework. It’s designed for stores and shops. 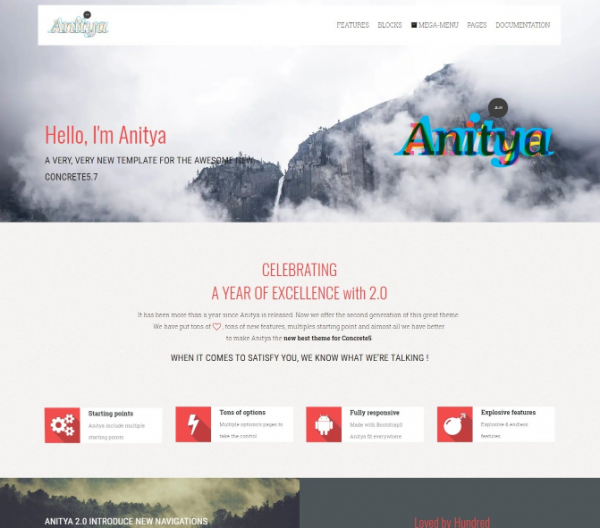 Anitya is a complete theme, very modern and adapting gracefully to all screens. It has been designed and coded with great care for all and especially for details. 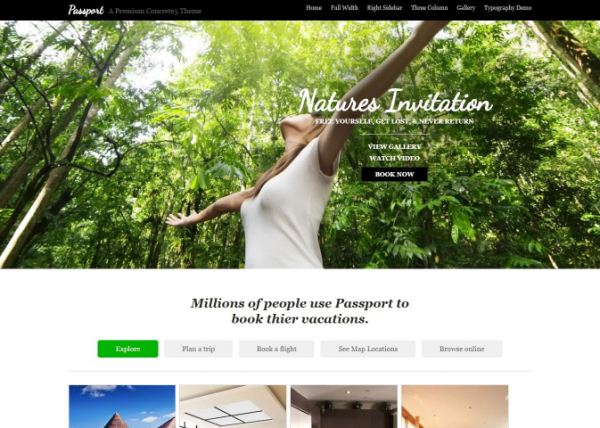 Passport is an elegant theme which allows flexibility to both users with no experience programming as well as expert programmers. With a few tweaks to your settings, you can easily build something custom with very minimal effort. OH LOVE is a free concrete5 theme which designed for personal blog. It has clean and simple layout design. 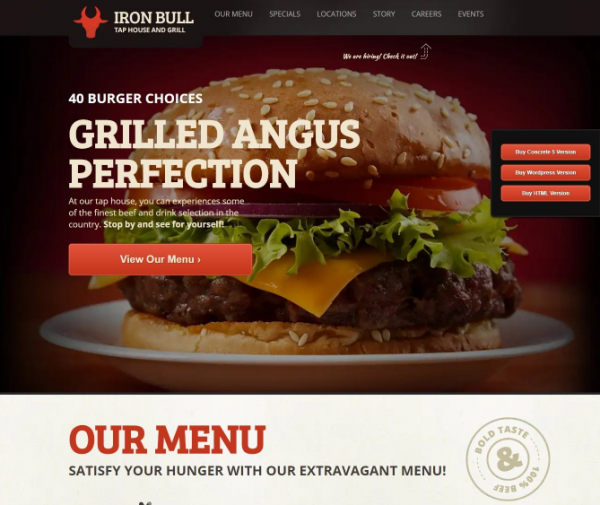 Iron Bull is a responsive concrete5 restaurant theme which consist a lot of useful features such as: sticky navigation, job section, image gallery, prices and calorie counts. 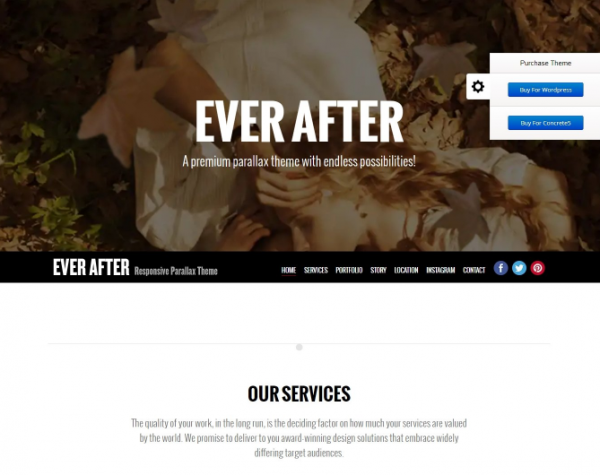 Ever After is unique, powerful and elegant one page Concrete5 theme. It’s fully responsive, google maps integration, full screen galleries, parallax effects, sticky navigation and much more. 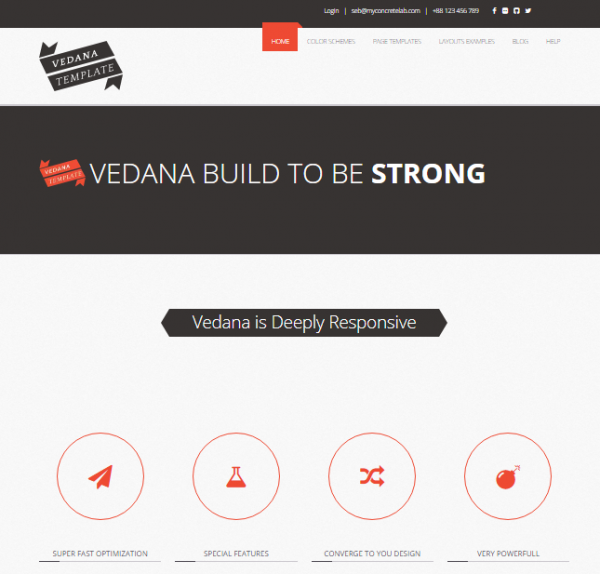 Vedana is a free modern theme for concrete5 and it adapting gracefully to all screens. 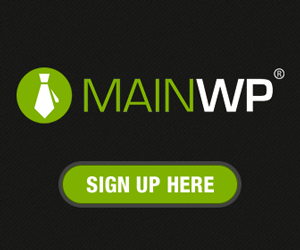 Its super optimized color management, you will create your site quickly and especially with great pleasure. 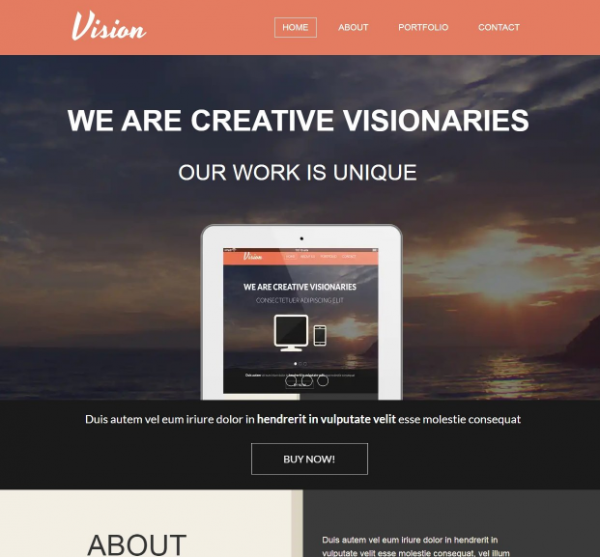 Vision is a flat, unique, modern and functional single page Concrete5 theme with home page and page type for additional pages and it’s great for any portfolio creative website. 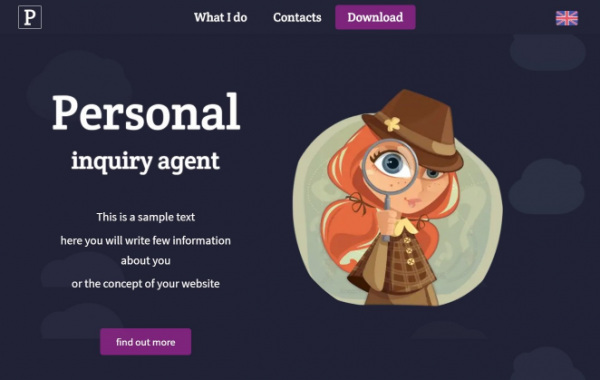 “Personal” is a multipurpose theme with single parallax page, great for animated landing page. 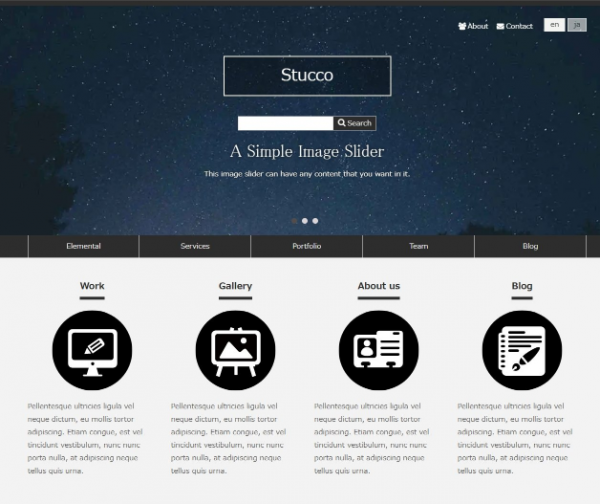 Stucco is simple style business theme built with bootstrap framework, fully responsive & customizable theme for concrete5. 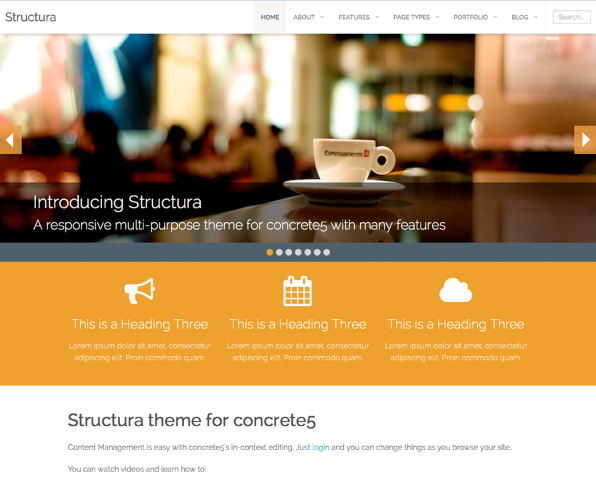 Structura is a responsive concrete5 theme with lots of features that is great for creative, portfolio, and corporate sites. It has a clean and modern design which means your site will look great in any browser. 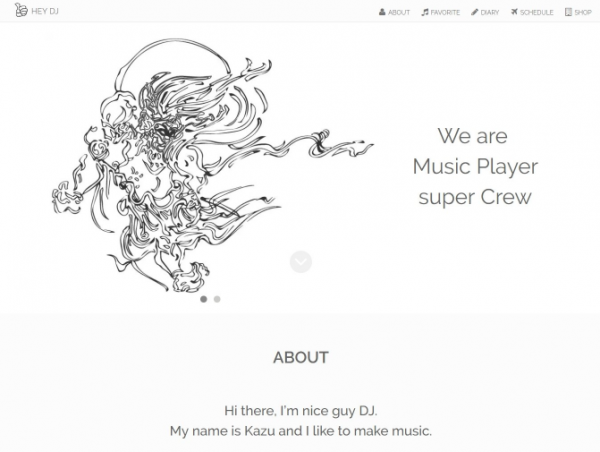 HEY DJ is free theme for concrete5 which fully responsive. 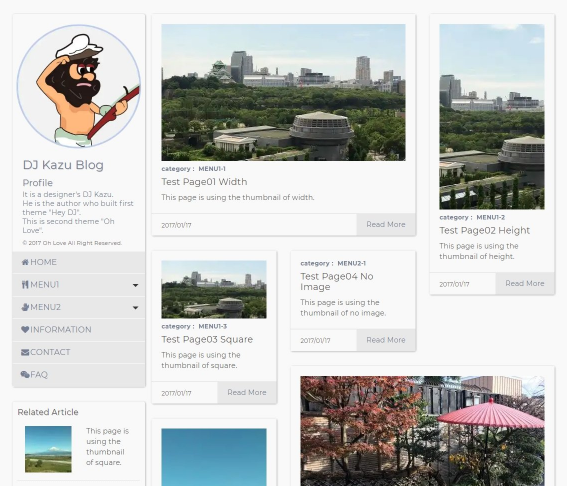 This theme uses a lot of concrete5 basic blocks with additional Page List blocks.